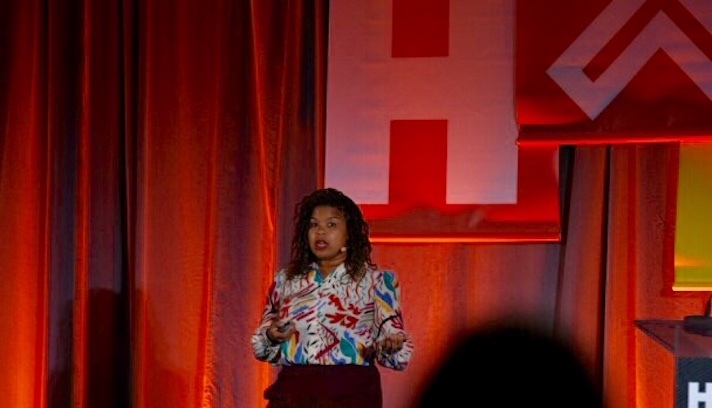 Vanessa Mason, director of the Institute for the Future, discussed areas of opportunity for health technology and the pitfalls of bias when innovating. Power dynamics are present in nearly every facet of life — including health innovation. These inequities of power can determine who developers innovate for, and the way in which developers go about creating tools for certain groups, Vanessa Mason, director of the Institute for the Future, said at Mad*Pow's HXD 2019 conference in Boston yesterday. In the future, Mason said she sees opportunities for developers to create tools for populations often overlooked, including women, young adults and people living with mental illness. Femtech, or health technology specifically geared towards a female audience, has come on the digital scene with force in recent years. However, Mason points out that the focus of that technology is traditionally quite narrow. There are pros and cons to this type of technology. Some potential pitfalls of present day femtech, she said, include privacy issues and questions around health anxiety. Another concern around this type of technology is inclusivity. Mason said that many of the products coming onto the market leave out a large portion of women. Next, Mason said health innovators needs to start looking at creating tools for younger populations. In particular, she discussed health issues facing millennials, which often get written off because of the false belief that the youth are healthy. Lastly, she encouraged designers to start innovating for mental health — which she said is often invisible to the rest of the world. In particular she discussed gaming addiction, which last summer was acknowledged by the World Health Organization. Like many areas of health, it is key to listen to the end user about their needs. While more and more technologies become available to developers, at the end fo the day she urged innovators to employ empathy above all. “Amid all the technology, innovation and design, it is really easy to get caught up and flooded in algorithms and say, ‘we are just going to automate so many things’,” she said. “And they are kind of missing the human, empathetic connection; the belonging, identity aspect of what does it mean to be human.